Do you work at Island Bar? 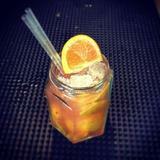 Voted one of the UK's top 50 bars by the Independent on Sunday newspaper. What did you think of Island Bar? I loved the bar staff and must say that they are possibly the best cocktails I have ever tasted and after visiting vegas and famous cocktail places whilst there I would take that as a serious compliment. 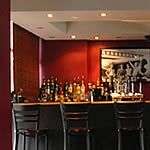 However I would say that the website should include information regarding deals on cocktails as I only found out there wrre offers after speaking to the bar staff. I fully agree with the comments above. Although the Island bar is a great venue, playing good music and serving a wide selection of drinks, it is severely let down by it's bar staff. I have visited this bar on many occasions with my friends and quite often it can be seen that the bar staff like to "have a laugh" whilst serving the drinks. This is completely fine and often occurs in any job. However on a few occasions we have ordered a few drinks and then been charged an extortionate bill. At one time, when challenged, the barman just casually stated "I had one myself, mate!". The other times we had to ask the barman to explain how the bill totalled so much and each time an apology was made and the correct money taken. This bar is fine as long as you check the prices before ordering and then double-check what you are being billed. Oh, and if you are planning to only drink bottles or pint's, expect to have a long wait behind a row of people ordering cocktails which take forever to pour! Excellent cocktails at a good price, lively venue with great music. The only downside is the arrogant and miserable bar staff, but if you can ignore that it makes for a great night out. In response to the almost identical comment made by, I suspect the same disgruntled lady behind both comments, and i do use the term lady very loosely. However, having been a patron of the Island bar establishment for about a year or so, I have never seen any of these alleged events take place. Coupled with the facts of this bar winning Birmingham' best cocktail bar and best cocktail bar staff awards. I find this tale preposterous, Madam I strongly suggest taking yourself and your slanderous comments to Lloyd's bar or somewhere of that ilk. A group of friends and I went to Island Bar last night. Good atmosphere, great music and a nice and friendly place all round. Can you imagine my suprise when one of the bar staff started drinking from the bottles he was at the time making cocktails with... Needless to say my friends and I opted for bottles of beer which in a cocktail bar was a bit of a let down! Having read the reviews I notice that this behaviour has been commented on before and could I suggest perhaps that the Management look into this behaviour as it would be a shame for such a cool and fun bar to be investigated or even worse closed down! As the owner of Island bar I know none of my staff would dream of drinking from the bottle before serving a customer, the sheer idea is absolutely nonsensical. If the reviewer has had a lovers tiff with the guy involved can I suggest she takes it up with him and not involve my bar. 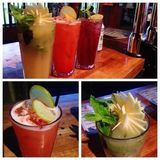 We strive for the best customer service in town and employ some of the best bartenders in Birmingham. It is incredibly difficult for an independent bar in Birmingham to thrive against the corporate competition out there and this is the feedback we get for our efforts.....Can I suggest in future you keep to Broad St where you'll hopefully be much happier. A vibrant, modern bar with a great atmosphere. Island Bar is a little off the beaten track but is still close enough to the centre to be an ideal early evening drinking spot. Independently owned and run, it’s a little more quirky than the average. Tucked away round the corner from The Mailbox, it offer a vastly different night out to the majority of bars in town. Always a lively place, its bright neon furnishings are complemented by an array of music posters, and with something happening every night of the week it’s easy to see how it has previously been lauded as Birmingham’s best bar. The outside smoking area is a welcome addition, but pavement space is limited and it can become overcrowded on busy nights. 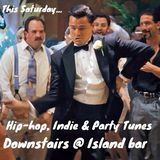 Island does an authentic impression of a rock and roll bar, the music is generally great but it can be a little too loud for easy conversation. They host live music and DJs throughout the week and Thursday's open mic night is particularly good fun offering support for young and upcoming musicians. At weekends, DJs play a variety of music, with DJs from Kerrang radio often appearing on Saturdays. The rock-heavy playlist may not appeal to all but it is a key part of the bar's identity and it is loved by the clientele. 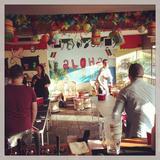 Island is popular with students and young professionals for its mix of good music, great drinks and reasonable prices. The bar staff are friendly, polite and clearly enjoy their work, which really adds to the fun atmosphere. The high-tempo bar tending is great theatre to watch as well. Despite all the fun they seem to be having, the bar staff clearly know their jobs well. The drinks are served with care and thought it is put into every aspect of their creation. They use premium spirits, and are knowledgeable about their craft, if you need help they will recommend drinks and add personal twists to classic recipes. Highly recommended by regulars, their version of the classic Bramble is one example of their skills. Made with gin, cassis, lemon juice and sugar syrup, Island's Bramble is sharp, yet sweet and very refreshing. At £5.50 its good value when the quality of the drink is taken into account. Another popular drink at the bar is the Mojito, this concoction is one of the best loved cocktail for a reason: it’s delicious. They serve a wide range of cocktails, both classic and their own signature drinks. Also available are a range of beers, including 19 different world beers. Amstel (£3) and Guinness (£3.20) are amongst the beers pouring from the taps, and wines are available for those not in the mood for a cocktail. One of Birmingham’s best bars.